We call it the GrabBox, but the reality is, only your creativity is needed to get just the right outdoor kitchen. No two people are alike. Everyone has their own style. 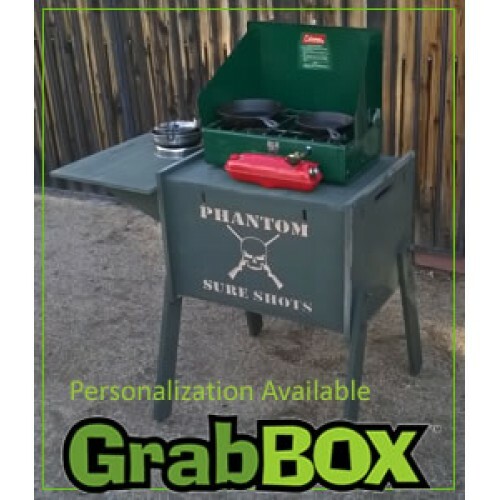 Whether you are camping, needing a checkstand to do business at the farmers market or getting your gear to the BBQ championships, the GrabBox can be configured for you. 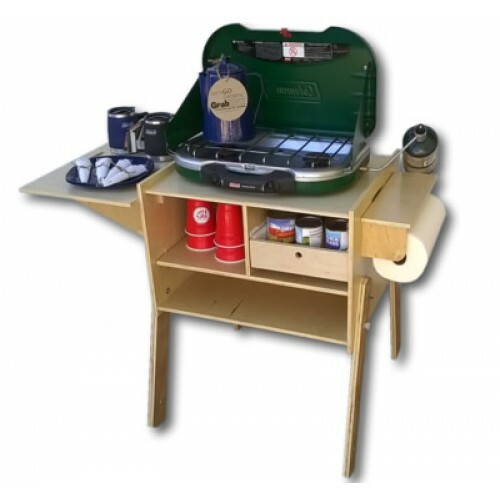 It used to be that you would put everything in the plastic tubs, take your tables, setup the table, unpack the tubs to get your camping kitchen all setup. Not with the GrabBox, you arrive, put the legs on in under 2 minutes and you are ready to go. 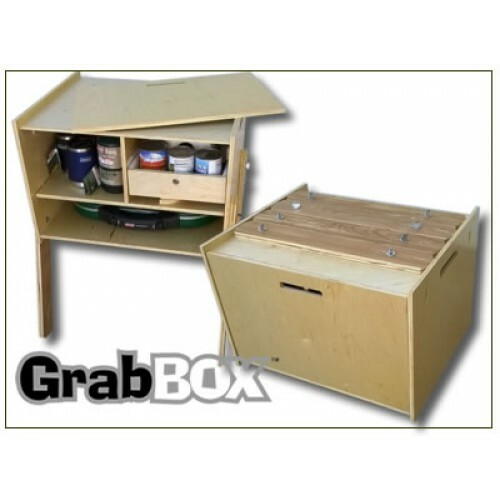 We've come up with the GrabBox to help accomodate the many different uses and configurations people are seeking. Buy only what you need, and change it in the future as your outdoor activities change. Al la carte. It's Grab-n-Go at its finest! Small enough to fit in a car trunk, pop-up camper, trailer or small suv. Camping, hunting, fishing, farmers market, outdoor fair, even selling hotdogs at the soccer field. The uses are endless. Different components allow you to make your camp kitchen uniquely yours. One time assembly takes 30 minutes. After that, load it up and your GrabBox is ready to go when you are. Made of light weight 1/2" ply. 23 pounds. A great balance between being light weight and a durable design. Front access panel becomes large side or back work surface. Your purchase is protected with our Guarantee. 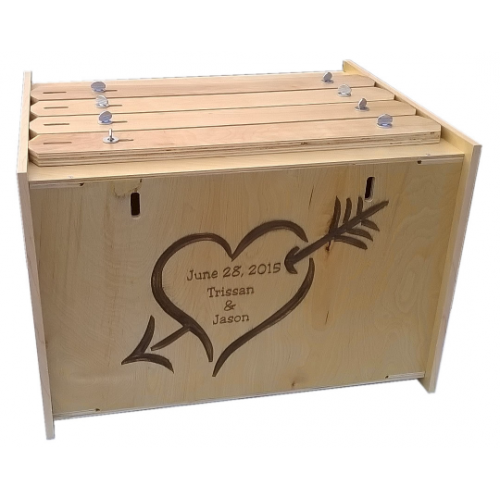 Order today, and your chuck box will be shipped within 10 business days. Shipping is provided by FedEx Ground Service. We will email a tracking number when your order leaves.